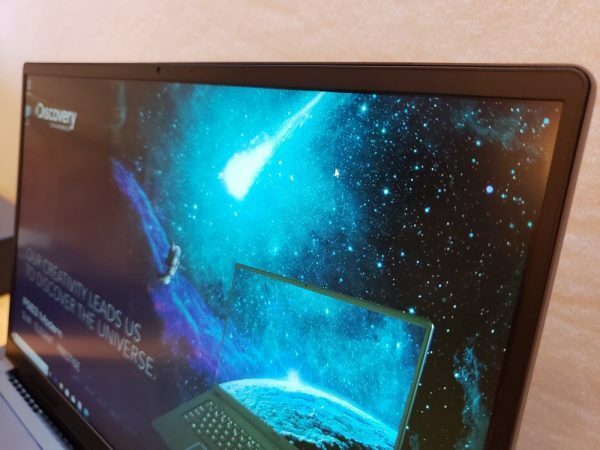 The latest update to Micro-Star International Ltd.’s (MSI) Prestige series of laptops is a perfect opportunity for channel partners to tap into the content creation market and address its unsatisfied demand for performance, according to Stephen Li. “We heard a lot of people tell us ‘we buy your laptops, but we don’t game.’ These people were designers and content creators who needed a powerful laptop,” the senior sales manager for MSI Canada told CDN at its booth during CES. The company launched Prestige early 2015, and has continued to expand the lineup, the latest addition being the PS63 Modern, first unveiled at CES. 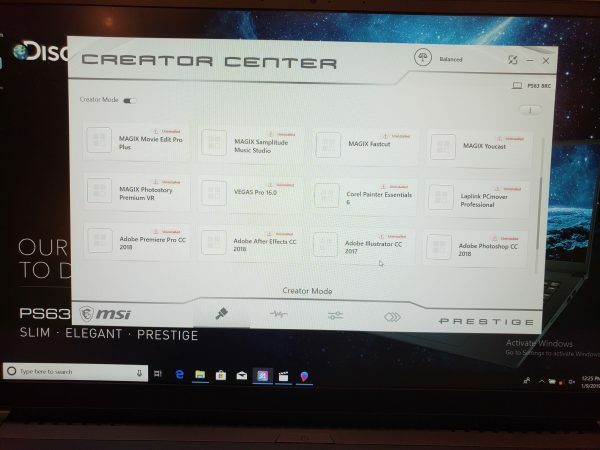 MSI’s Creator Center software is included with the MSI PS63. The Creator Center helps optimize and adjust system modes for creative applications including MAGIX Photostory, Adobe’s suite and even the Sony VEGAS Pro video editing software. Known primarily for its superior gaming machines, Li says MSI answered the call from young professionals – MSI research suggests the target audience for the Prestige series is people between the 25-35 years old – who were looking for something outside of the Apple ecosystem but didn’t want to carry around a gaming laptop. The company launched Prestige early 2015, and has continued to expand the lineup, the latest addition being the PS63 Modern, unveiled at CES last week. The new laptop features Intel Core a 15.6-inch FHD display with tiny bezels and 100 per cent RGB colour. Underneath the hood, it boasts a Nvidia GTX 1050 graphics card and up to 32GB of DDR4 RAM. Li noted Apple’s decision to no longer sell new laptops that come with regular USB ports and the absence of HDMI connectivity, which has left a negative impression on a lot of consumers. MSI made sure to include these features in the Prestige series, and with a sleeker finish compared to last year’s MSI P65, Li said the PS63 Modern becomes a very compelling device that can render files 10 times faster and even handle a bit of gaming. It has two USB 3.1 Gen 1 ports, a matching set of USB 3.1 Gen 2 and USB Type-C ports, MicroSD slot, HDMI out plus microphone and headphone jacks. Oh, and a fingerprint sensor. “We want to try and deliver retailers with a higher-end customer,” explained Li, adding Intel has also identified the content creator market as under-served, and is encouraging OEMs to address it. MSI’s major channel distributors in Canada include Canada Computer and Electronics and newegg.ca. Pricing for the PS63 is yet to be confirmed, and will likely be available later this year.